Jim Denz’s passion for brewing started in 1994, when he began making his own beer in the basement of his home. Before long, he was the go-to beer supplier for friends and family, producing three different beers. Jim began visiting local craft breweries, exploring the craft beer industry and imagining what it would be like to be part of it all. He knew his beer was good and he wanted to be able to share it with everyone, not just those closest to him. With the help and support of his wife Jody, he began exploring the real possibility of starting a craft brewery in 2015. The pair started with a business plan, and knew they should get it reviewed before they went to their bank. They contacted Peter Harriman, Maine SBDC business advisor in Portland, for assistance. Harriman thoroughly reviewed the business plan, and offered suggestions for improvement. 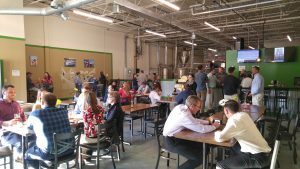 After successfully obtaining over $100,000 in funding from a local bank, Jim and Jody, along with their business partners Tim and Melanie Francis, worked over several months to build a comfortable space for their customers to relax and enjoy good beer. 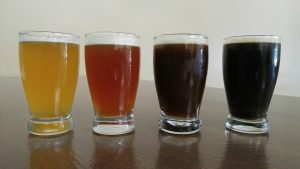 Named after the love of their dogs and Jody’s upbringing on Mount Dessert Island, Island Dog Brewing officially opened in June 2017 and features 8 beers on tap, as well as homemade root beer and fruit infused seltzer water. 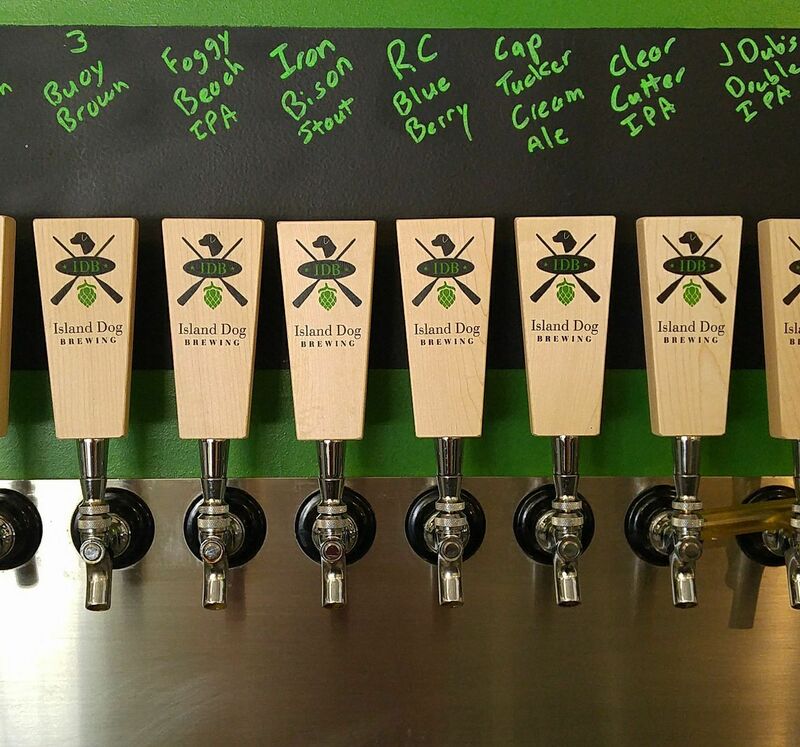 They are committed to using only the finest brewing ingredients, including locally sourced grain and hops. 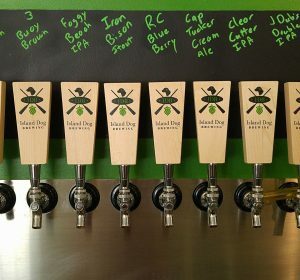 Island Dog is conveniently located only minutes from the Maine Mall in South Portland and in the same complex as OTTO Pizza, which delivers right to the brewery. For more information on this growing business, visit their website or follow them on Facebook!